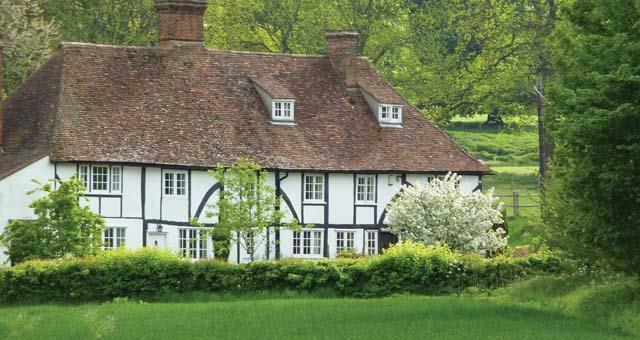 Enchanting peaceful cottages in 15th century Manor each with large private gardens set in 4 acres. Overlooking Chilham Castle Park in an Area of Outstanding Natural Beauty, the cottages are set in countryside which has been designated of significant landscape value by Natural England on behalf of the UK government. The Kent chalk downlands, deciduous woods, historic forests, lakes, water meadows, apple and hops orchards provide an ideal environment in which to relax. Perfect for walking, relaxation and calm. Immaculate Well equipped, comfortable, warm - website has all the details. Logs - for the open fire and wood burning stove cost c.£3.50 per bag extra. Other extras, if requested, will be charged at cost. We will try to meet requests if possible.